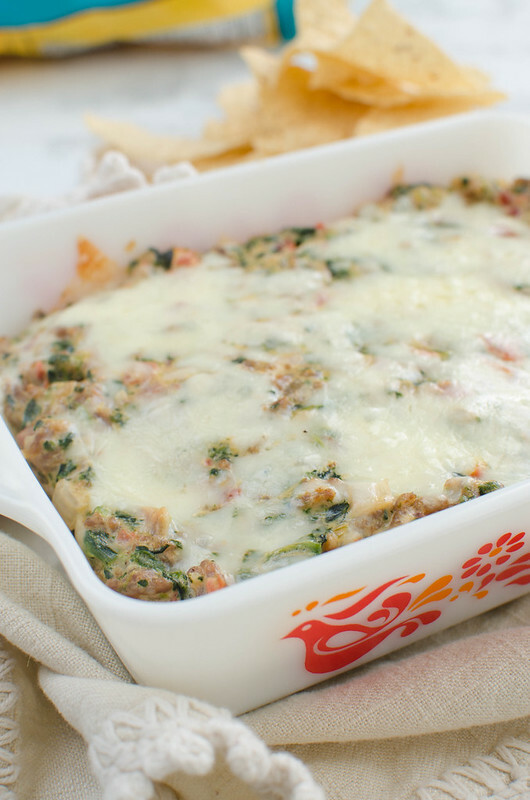 Cheesy Sausage and Spinach Dip – gooey cheese dip with sausage, Rotel, and spinach! 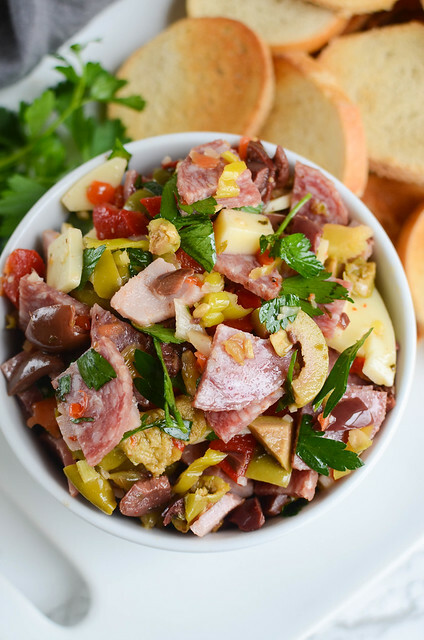 It’s always a party favorite! This post originally published January 2017. Updated January 2018 and I still hate the pictures so maybe we’ll just try again every January until I like them. Hi guys, how’s the week? You guys, my 2nd grader had his 1st semester award ceremony on Monday and I balled like a baby. Like, I get it, honor roll is a big deal and I know every parent in the room was proud as could be but I was the only one full on sobbing in the back row. I drowned my feelings in melted cheese and tortilla chips because what else would I do? 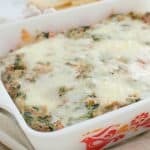 I have been making this Cheesy Sausage and Spinach Dip for several years now and it is one of my favorite dips for parties. 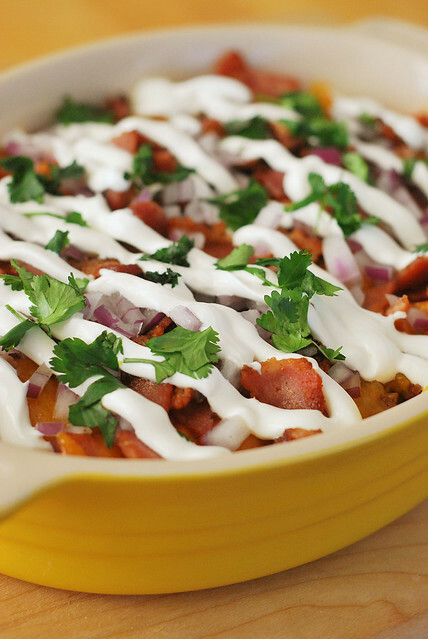 It used to be my go to when we hosted people for football because I could prep it ahead of time and pop it in the oven when everyone got here. 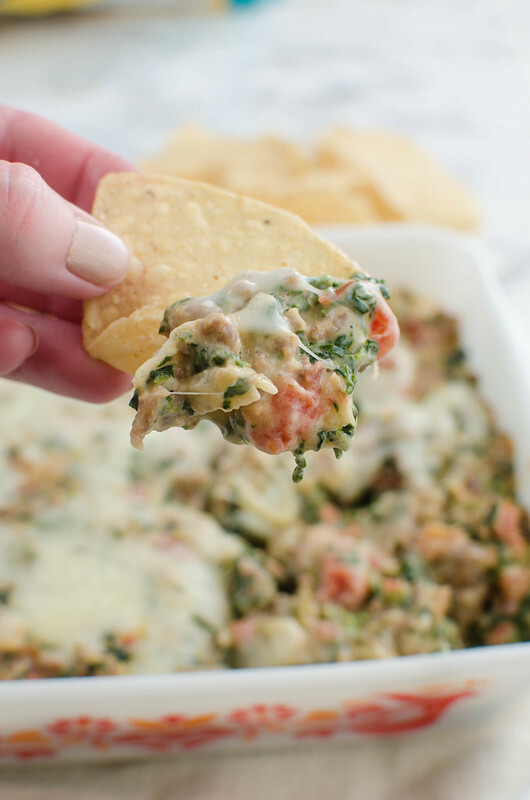 It’s a little bit spicy and it’s gooey and delicious and the makes it just different enough from the standard sausage dip. It uses a mixture of cream cheese and monterey jack and I’m almost positive you could do it in the crockpot if you wanted. Just cook the sausage and onion on the stove and then combine everything in the crockpot. Cook on low until the cheese is melted (probably not long – less than an hour? And give it a stir every once in a while) and then leave it on warm until it’s gone. Which won’t be long if your friends are anything like mine. I know it’s not very pretty but I swear it’s delicious. In a large skillet, heat olive oil over medium-high heat. Add mild Italian sausage and diced onion. Cook, breaking up the sausage, until the onion is translucent and the sausage is cooked through. Drain and return to pan. Add garlic and cook just until fragrant, about 30 seconds. 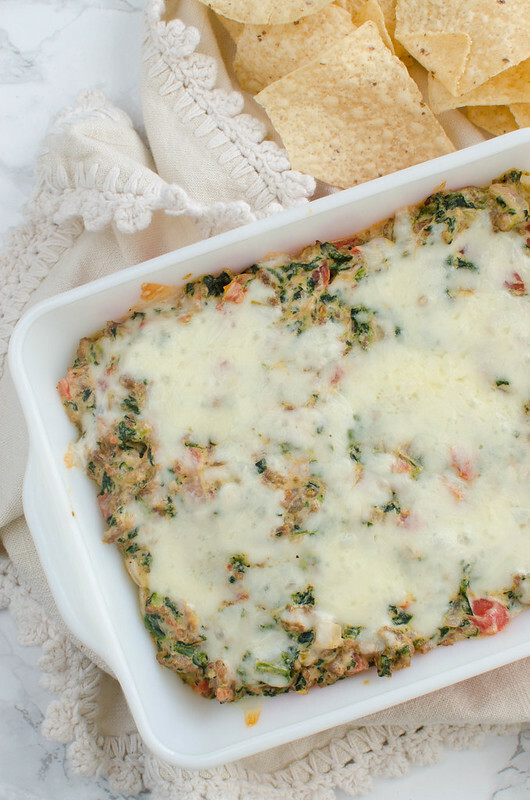 Add cream cheese, diced tomatoes with green chiles, and chopped spinach. Stir until cream cheese is melted. Remove from heat and stir in about half of the shredded monterey jack. Transfer mixture to an 8x8-inch pan and sprinkle with remaining cheese. 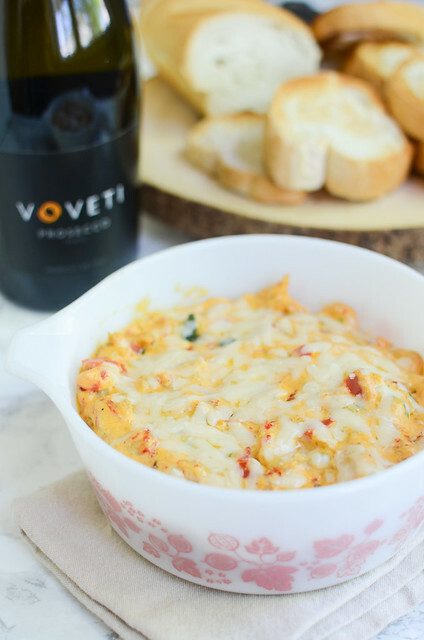 Bake for about 15 minutes, until bubbly. Serve hot with tortilla chips.